Meir David Kahane (1932-1990) was born in Brooklyn to an Orthodox Ashkenazi family. From a very young age, he was involved with Zionism, and was arrested as a fifteen year old for throwing eggs at the British Foreign Secretary who restricted Jewish immigration to Israel. At 22, he was the director of the New York division of Bnei Akiva – the largest religious Zionist youth organization in the world. Highly educated, Kahane received his rabbinic ordination from the Mir Yeshiva, followed by a political science degree, then a law degree, and a Master’s in international studies. In the late 1950s and 60s he served as a rabbi of a synagogue in Queens. After angering parents because he made their children more religiously observant, he was let go of his post, and took to writing. He went on to write many articles under various pseudonyms, such as David Sinai and Martin Keene, as well as a number of books, and was also the editor of The Jewish Press. Meanwhile, Kahane took a hard-line anti-communist stance, and began to infiltrate left-wing groups as a secular man named Michael King. He even shaved his beard to play the part. This earned him a role with the FBI, for which he worked for several years. Ironically, in 1968 Kahane founded an organization which was listed as a terrorist group by the FBI: the Jewish Defense League (JDL). This group was formed with the goal of protecting Jews from antisemitism (coining the term “Never Again”), while also assisting the plight of Soviet Jewry. On the one hand, it was praised for changing the stereotypical image of Jews as “weak and vulnerable”, and for protecting Jews from assault, particularly the young and elderly. On the other hand, it was heavily criticized for its violent tactics. Kahane himself was arrested on a number of occasions, and served a short prison term. In 1971 he made aliyah to Israel, where he continued his work, being arrested over sixty times in the Holy Land. He served a prison sentence there, too, for planning revenge attacks against Palestinians that killed Jewish settlers. Kahane soon founded the Kach political party. After many years of unsuccessful campaigns, he finally won a Knesset seat in the 1984 elections. However, many of Kahane’s speeches in parliament were boycotted. Despite projections that he would win many more seats in the 1988 elections, the government banned his party for being racist. 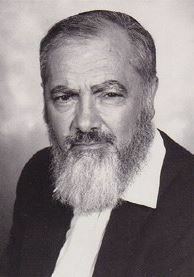 Kahane opened a yeshiva where he taught for the last few years of his life. In 1990, after giving a speech in New York, Kahane was assassinated by an Egyptian-American terrorist. The terrorist was acquitted of the murder, but later charged for being involved in the 1993 World Trade Center bombings and sent to jail for life. Kahane was buried in Jerusalem, and 150,000 came to the funeral, making it among the largest in Israel’s history. Kahane was an extremely controversial figure. He has been accused, convicted, and suspected of just about everything from adultery to sedition and terrorism. At the same time, he was also described as a “nice, patient teacher”, and by Bob Dylan as “a really sincere guy”. Kahane was driven by witnessing the cruel injustices suffered by Jews, and seeing time after time how Israel was never treated fairly or equally by the international community. One of his best-known sayings was: “It is better to have an Israel that everyone hates, than an Auschwitz that everyone loves.” Yesterday was his yahrzeit. This entry was posted in Law, Politics & Military, Religious Leaders and tagged American Jews, Bob Dylan, Brooklyn, FBI, Israel, JDL, Jewish Defense League, Kach, Knesset, Never Again, New York, Orthodox Jews, Polish Jews, Rabbi, Soviet Jewry, Terrorism, The Jewish Press, World Trade Center, Yeshiva on November 12, 2014 by Jew of the Week.